First, we define six versions of another operation over IFSs – namely, Cartesian products of two IFSs. 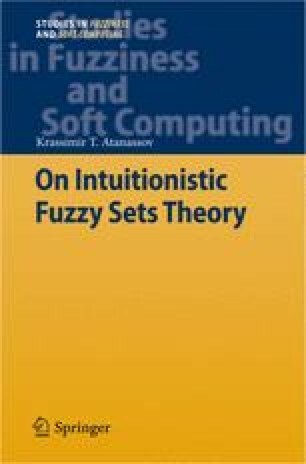 To introduce the concept of intuitionistic fuzzy relation, we use these operations. be two IFSs over E 1 and over E 2, respectively.